Here are some pictures of the high performance Shelby motorcycle, developed in partnership between the Carroll Shelby International Inc. and Rucker Performance: a leading designer and manufacturer of custom American muscle production motorcycles. The Shelby motorcycle rivals the power to weight ratio of the famed Shelby Cobra 427 S/C. 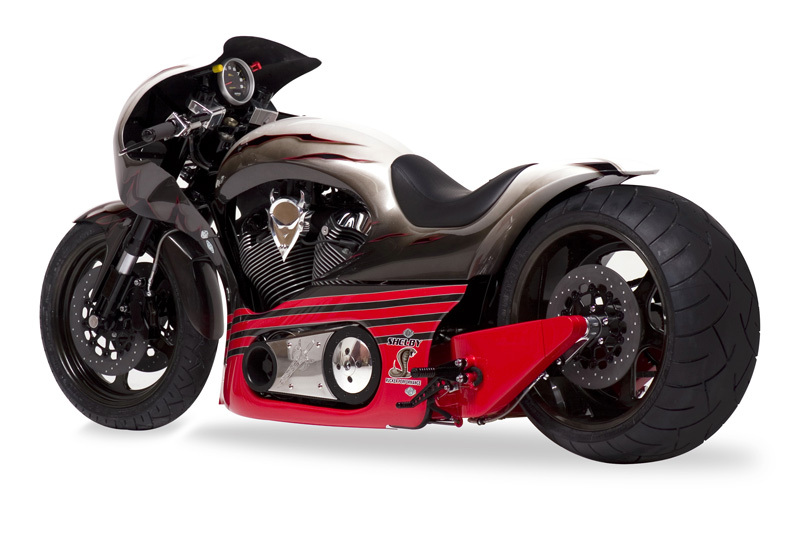 How did this combination of automotive power and custom bike come together? Here's some information sent to us from Rucker Performance. Fellow Texan Bill Rucker is famous for building spectacular two wheeled motorcycles that are among the most exciting vehicles in the world. He is Founder and CEO of Rucker Performance, a manufacturer of high performance American muscle and chopper motorcycles. 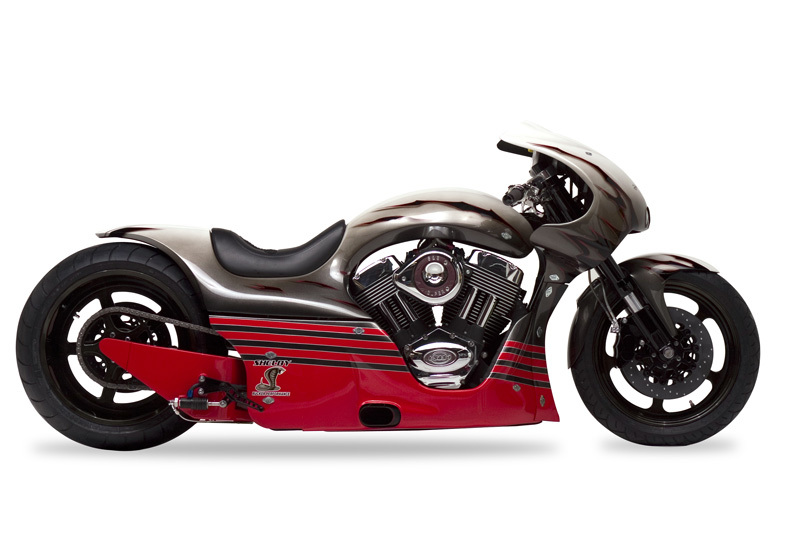 You can read more about the Shelby Motorcycle on the Rucker Performance site.